The Yamaha Montage 8 synth with fully weighted hammer action keys is the most powerful synth from Yamaha to date, in comparison the montage .. 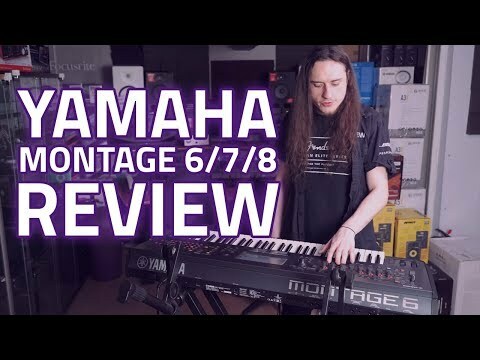 The Yamaha Montage 8 synth with fully weighted hammer action keys is the most powerful synth from Yamaha to date, in comparison the montage synths offers double the amount of FX and polyphony on offer in the popular Motif synths. 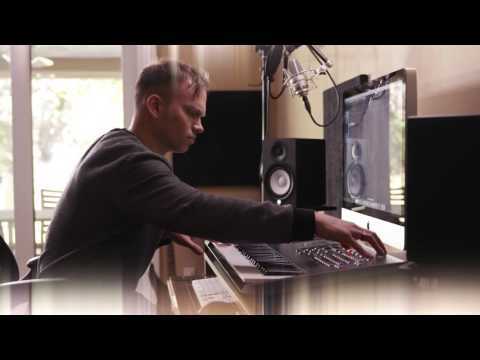 The Yamaha Montage combines 2 high end sound engines allowing you to layer up soundscapes like never before. This is all thanks to the 2 unique sound engines inbuilt that can be utilized separately or together to create some truly massive soundscapes. The Montage may look intimating to use but Yamaha have spent a long time creating something that is flexible and user friendly thanks to the onboard computer screen and dynamically controlled user interface. Welcome to the new era in Synthesizers from the company that brought you the industry-changing DX and the hugely popular MOTIF. Building on the legacy of these two iconic keyboards, the Yamaha MONTAGE sets the next milestone for Synthesizers with sophisticated dynamic control, massive sound creation and streamlined workflow all combined in a powerful keyboard designed to inspire your creativity. If you liked the DX and Motif, get ready to love Montage! To top it all off, at the illustrious MusicTech Gear of The Year awards for 2016, the Yamaha Montage won the MusicTech Gold Award for "Best Hardware Instrument"! The Yamaha Montage has continued to impress throughout 2016 and there's no signs of it slowing down. This is why the Yamaha Montage is the synth of the future. MONTAGE raises the bar and will equip songwriters, composers, keyboardists, sound designers, synth geeks, EDM producers and hire companies with an instrument packed with inspiring sounds, sophisticated dynamic control and streamlined workflow. 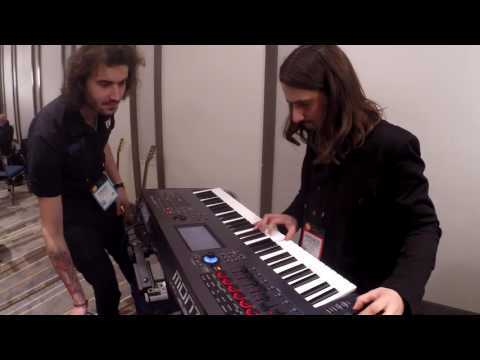 The Motion Control Synthesis Engine unifies and controls two iconic Sound Engines: AWM2 (high-quality waveform and synthesis) and FM-X (modern, pure Frequency Modulation synthesis.) These two engines can be freely zoned or layered across all parts in a Multi-Part Montage Performance.